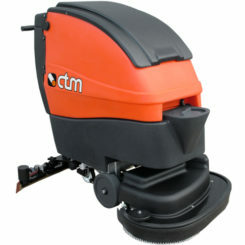 The CTM Kron Zero ride on scrubber drier is designed for the deep and effective clean of large areas cleaning up to 3,700 m² worth, which is important in reducing cleaning cost and labour. 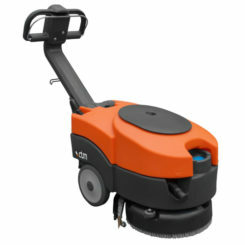 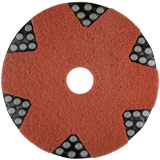 The Kron Zero provides a constant pressure of 50 kg. 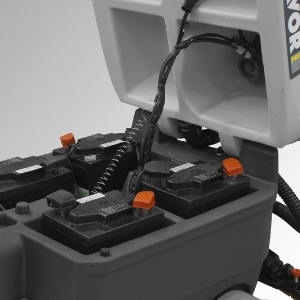 On the brushes and has a large load tank capacity reducing the stoppage time and maximizes the effectiveness of the battery when in use, Because of this, the Kron has a working time up to 4-5 hours. 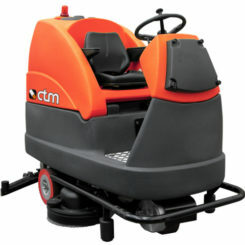 The Kron Zero has a compact size of 810mm and is stable even when fully loaded, with its front wheel drive and a tight steering radius it allows the user to clean every inch. 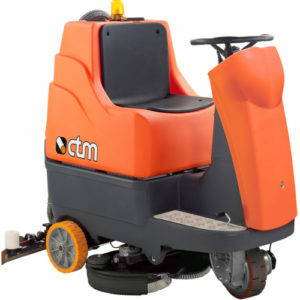 This easy to use, efficient, well designed and manoeuvrable machines are designed for intensive work that is able to be used by anyone.